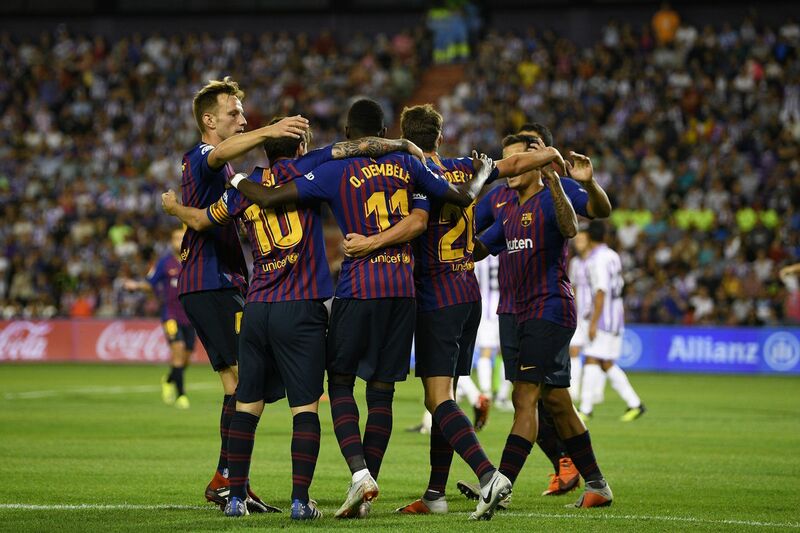 Barcelona returned to winning ways in La Liga this past weekend, thanks to a 1-0 home win over Real Valladolid on Saturday evening. Ernesto Valverde’s side who had drawn both of their last two games prior to Saturday, had Captain Lionel Messi to thank as he converted from the spot, two minutes to half time. The win now takes them to 54 points, 7 clear of second placed Atletico with 14 games to play. For Atletico, they were also 1-0 winners away to Real Vallecano on the same day. Antoine Griezmann struck the only goal of the game, 16 minutes from time in a game in which the visitors struggled for the better part. Atletico have now won 13 of their 24 games and occupy second spot with 47 points so far. In the Capital, Real Madrid surrendered a 1-0 lead to lose 2-1 at home to Girona on Sunday afternoon. Santiago Solari’s men who would later see Captain Sergio Ramos sent off in the 90th minute, took the lead inside 25 minutes through Casamiro. Girona who had lost all of their last 5 games coming into this one, would however not lay down and pulled level through Christian Stuani’s penalty on 65 minutes. With 15 minutes to play, Portu won the game for the visitors who now move out of the relegation zone. Elsewhere, struggling Villareal powered passed a hapless Sevilla side 3-0 on Sunday. Alvaro Gonzalez, Toko Ekambi and Alfonso Pedraza were all on target for the Yellow Submarine. There were only two other victories with Real Sociedad defeating Leganes 3-0 at the Anoeta while Levante drubbed Celta Vigo 4-1 away from home. 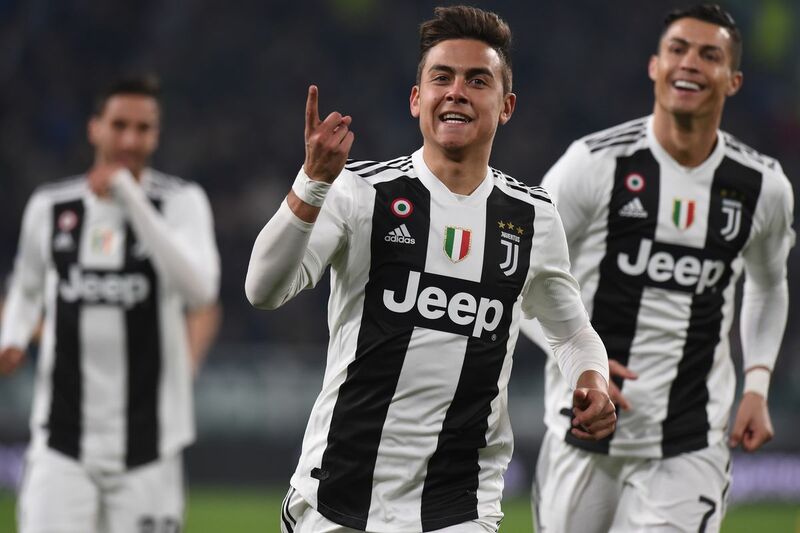 In Italy, Juventus moved 13 points clear of the Serie A table, thanks to a 3-0 home win over lowly Frosinone on Friday night. Paulo Dybala opened the scoring with a sublime finish on six minutes. Leandro Bonucci and Cristiano Ronaldo were the others on target for the Old Lady who take on Atletico Madrid in the Champions League on Tuesday. The victory for Juve takes them to 66 points for the season, 13 of second placed Napoli with 24 rounds played so far. Napoli on the other hand continued their recent struggles with a 0-0 draw at home to Torino on Sunday night. Carlo Anchelotti’s side have now drawn both of their last two games and in process, accumulated 53 points thus far. In Milan, despite being without Captain Mauro Icardi for the third game running, Inter were 2-1 winners at home to Sampdoria. Danilo Dambrossio put the Narazzuri ahead on 73 minutes but two minutes later, Manolo Gambiadini pulled the visitors level with his first goal for his new side. However, Radja Nainggolan won it for the host with a strike on 78 minutes. Inter remain third on the standings with 46 points from 24 games. For 4th placed AC Milan, they were 3-1 winners over inform Atalanta in Bargamo. AC trailed to a Remo Freular strike on 33 minutes but would soon find themselves 3-1 up by the 61st minute with January signing Krzysztof Pitek banging a brace either side of Hakan Calhanoglu beauty. Victory for Milan takes them to 42 points, 4 ahead of Roma who play host to Bologna on Monday night. Elsewhere, Fiorentina, Empoli, Cagliari, Udinese and Genoa were all winners last weekend. 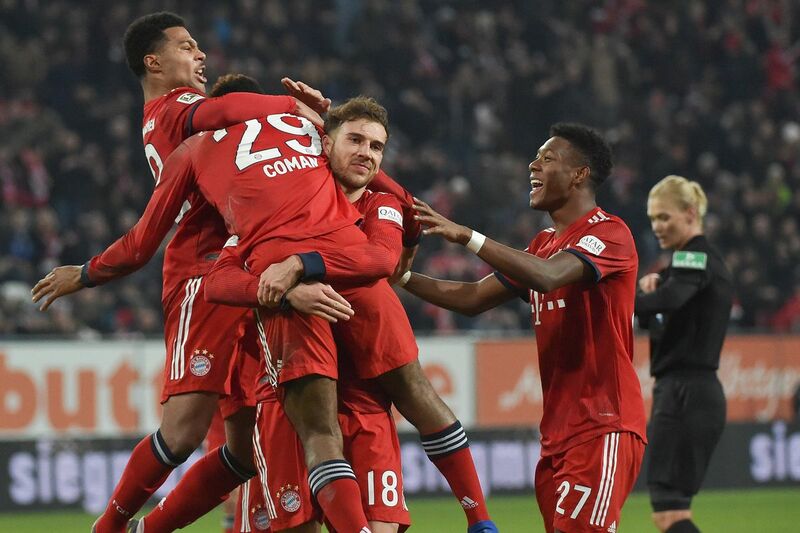 In German, Bayern Munich moved to within two points of leaders Dortmund, scrapping to a 3-2 win over Augsburg on Friday night. The Bavarians twice trailed in the game before eventually winning it. A Leon Goretzka own goal put Augsburg ahead inside the first minute before Kingsley Coman leveled the scores on 17 minutes. Bayern were once again behind on 23 minutes thanks to Dong Won’s strike on 23 minutes but ensured they went into halftime level with Coman scoring his second on the night. Bayern would eventually seal all three point 8 minutes into the second half, off a David Alaba well taken strike. Victory sees Bayern move to 48 points, two behind leaders Dortmund who are away to Nuremberg on Monday. For third placed Monchengladbach, they shared spoils in a 1-1 affair with Frankfurt on Sunday. Danny Da Costa put the hosts in front at the stroke of halftime but Gladbach pulled level with 8 minutes to play thanks to Danie Zakaria’s goal. Fourth placed RB Leipzig were also victorious this past weekend as they brushed aside Stuttgart 3-1 at the Mercedes Benz Arena. Youssuf Poulsen scored a brace either side of Marcelo Sabitzer’s strike despite the home side temporarily pulling level through Steven Zuber’s penalty on 16 minutes. Elsewhere, there were victories for Leverkusen, Wolfsburg and Hoffenheim. Leverkusen defeated Dusseldorf 2-0, Wolfsburg were 3-0 winners over Mainz while Hoffenheim comfortably beat Hannover 3-0. In France, PSG scrapped to yet another victory, overcoming St. Etienne 1-0 away from home. 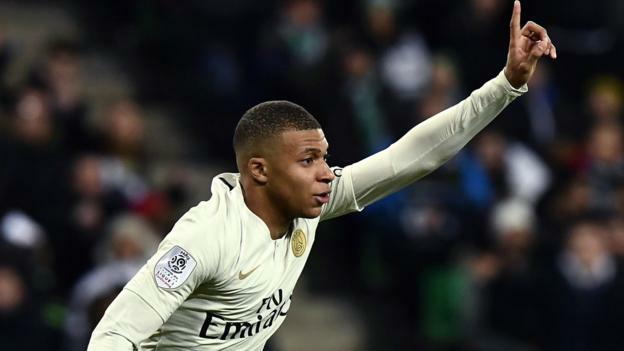 Teenage sensation Kylian Mbappe was the hero once again, scoring the only goal of the game with 17 minutes to play. The win sees Tomas Tuchel’s men move 12 points clear (62) of second placed Lille (5034) who were held to a goalless draw at home to Montpellier on the same day. Third placed Lyon returned to winning ways with a 2-1 win over rock-bottom Guingamp on Friday. Martin Terrier opened the scoring for Bruno Genesio’s side before Guingamp equalized on 21 minutes. The winner came 10 minutes to the end of halftime, scored by Lyon Captain Nabil Fekir. Elsewhere, Marseille made it three wins on the trot, defeating Amiens 2-0 at home. Florien Thauvin and Mario Balloteli struck for the goals for Rudi Garcia’s side who maintained fourth spot on the log. There were also victories for Nimes, Reims, Angers, Bordeaux and Monaco this past weekend.